Successful charities see a donor’s gift as the beginning of a relationship, not an end. The keys to sustaining the relationship are hard work, thoughtful strategy, and customization. Protexia helps clients build recognition and stewardship strategies that are on message, budget-friendly, and meaningful to your donors.  Protexia can assess your current donor recognition initiatives and then develop enhancements that build your brand, inspire new giving, and make donors feel good about the choice they made to support your organization. Recognition isn’t always about a name on a wall or in a publication; sometimes it’s more subtle. Protexia can help you customize your approach for maximum impact. An invitation to a special event. A publication. Or maybe just a simple occasional phone call from the organization’s CEO or Chair. Donors always want to know that their gift made a difference. Protexia helps you customize and operationalize donor stewardship strategies that speak to donors in ways that matter to them; in ways that make them want to keep supporting you.